Sometimes one goes into a restaurant by happenstance and gets a new pleasure. One night my Bride finally got home, a bit frazzled from a day at the office, because she had so many projects to complete. Upon her arrival, she discovered that she had forgotten something that she would need very shortly and because of her itinerary, we had to change our dinner plans that evening and go back to her office to get what she needed. On the way back home, we were taking a more leisurely route back home with the intention of finding someplace to eat, and it was during the middle time after first seating at most restaurants, so we knew it would be a bit more difficult to find a restaurant, and the area that we driving from is know to have a high probability of diners out that evening, so we were planned on having a more casual dinner. We ended up stopping at an Irish Pub in Farmington, Michigan that has a large seating capacity, because they have a main floor, an upstairs and some tables outside as well, so we figured that we would go there. Cowley & Sons were doing a good business that evening, but as luck would have it, we were able to get seated immediately. My Bride ordered a Whiskey infused Clover Honey drizzled Salmon salad, that also had some flash-fried goat cheese as well, and she raved about it the entire time we were there. I ordered a Carolina Barbequed Chicken with shaved Parmesan covered Asparagus spears and Irish Boxty, which if you are like me had never heard of this term and it was a form of a Potato Pancake. Since my Bride was a bit more relaxed since she had retrieved what she had forgotten to bring home, she felt like being a bit festive about the wine that evening. We had a bottle of sparkling wine from Spain for dinner. 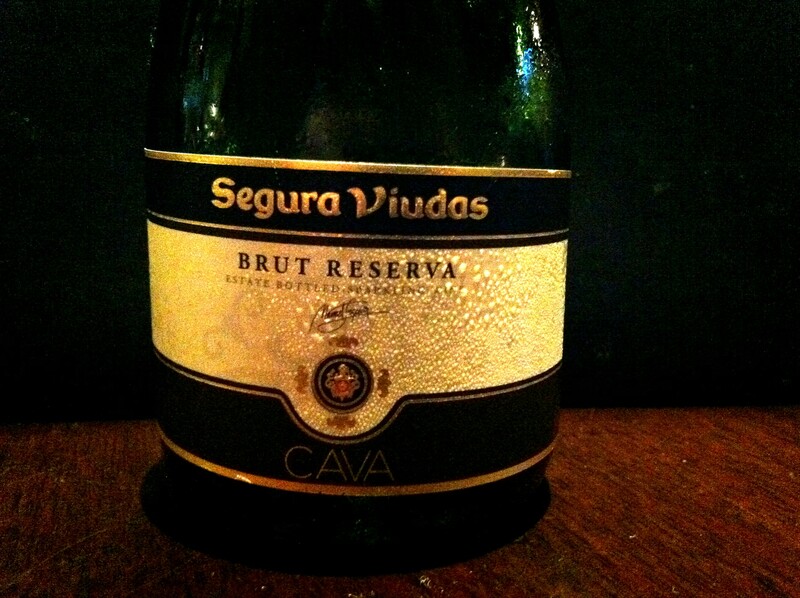 Segura Viudas Brut is a charming sparkling wine from the Penedes region of Spain, near Barcelona and these wines are called Cava wines as they are made in the Methode Champenoise or in the Champagne method. This wine is primarily made from the Macebeo varietal, for those of you who are attempting to join the Century Club and need a new varietal for your list. This wine, while not expensive was just a pleasure to have during dinner, especially since we came in from a very hot and humid outdoors. I must say we have always had good fortune with the Cava wines of Spain, a moment of festivity, they are refreshing and do not break the bank as so many other sparkling wines seem to be able to do. This entry was posted in Dining, Wine and tagged Brut, Cava, Macebeo, Methode Champenoise, Segura Viudas, Spain. Bookmark the permalink.